The Company's stores, e-commerce and mobile platforms under the Bon-Ton, Bergner's, Boston Store, Carson's, Elder-Beerman, Herberger's and Younkers nameplates are open and operating as usual. As previously announced, the Company is closing 47 stores in 2018, four of which closed in January and one store that is near completion and 42 additional at which store closing sales began on February 1, 2018 and will run for approximately 10 to 12 weeks. A full list of those locations can be found on its investor relations website. The Bon-Ton Stores, Inc., with corporate headquarters in York, Pennsylvania and Milwaukee, Wisconsin, operates 256 stores, which includes nine furniture galleries and four clearance centers, in 23 states in the Northeast, Midwest and upper Great Plains under the Bon-Ton, Bergner's, Boston Store, Carson's, Elder-Beerman, Herberger's and Younkers nameplates. The stores offer a broad assortment of national and private brand fashion apparel and accessories for women, men and children, as well as cosmetics and home furnishings. 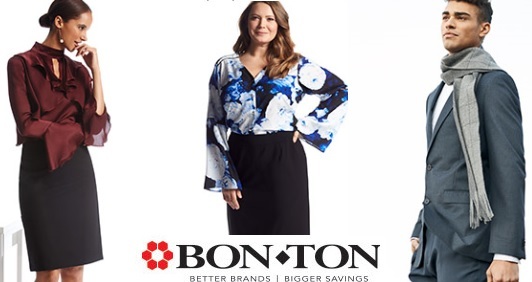 The Bon-Ton Stores, Inc. is an active and positive participant in the communities it serves. For further information, please visit http://investors.bonton.com. This is obviously not the only clothing retailer that has faced Chapter 11. Many retailers and clothing brand face similar challenges. Some fail completely but others emerge stronger. You may also have interested in going back in time to read our The Financial Mood of the Apparel Industry 2015. What is the financial mood of the apparel industry for 2018? Good question. The mood at Bon-Ton is currently a "Chapter 11 Mood". Hopefully that turns into a "coming out the other side stronger mood". Time will tell.